Workers at the Cargill-owned National Vegetable Oils Company in Alexandria, Egypt, have been prevented from working since December 16 following a peaceful protest which began during the night shift on December 14. Initially put on compulsory extended leave, the workers have since been dismissed - in violation of Egyptian labour law. See previous story. The workers put on compulsory leave remained in the plant until December 23, when they were forcibly removed by thugs with guard dogs. Since then they remain in the factory parking lot under conditions that resemble a state of siege: the guards and dogs remain and as of February 4, water and electricity were cut off and the workers were denied access to food and medicines. 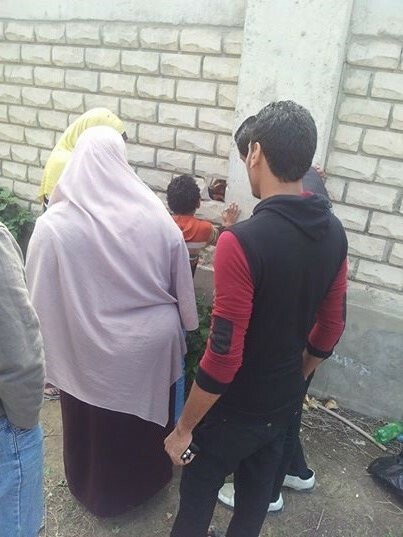 Family members delivering food through a hole in the wall. This blockade was finally lifted on March 11, but conditions remain precarious. Some 86 workers have been without wages and without medical insurance for four months now. 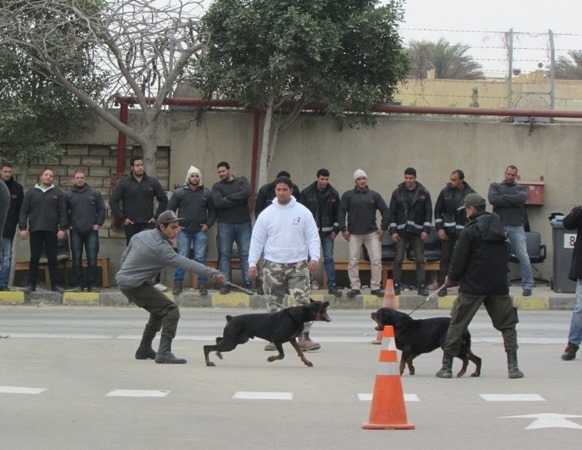 Thugs and dogs surround the factory. If you have not already done so, send a message to Cargill demanding that the workers be returned to their jobs!